Henny kept her skin supple with a weekly bath of sour milk. We recreate this ritual (without the "sour") in our HENNY FAIRE Co. Milk Bath Collection. 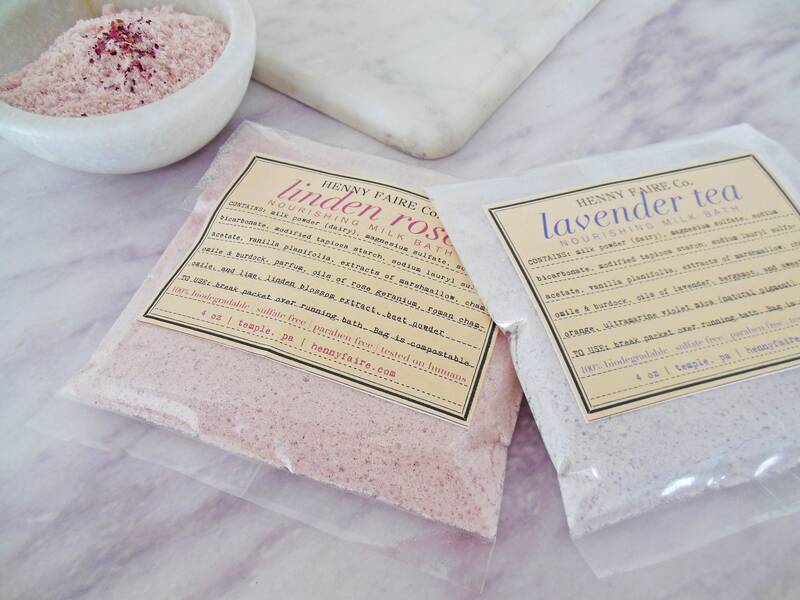 One customer called the experience of relaxing in our natural milk soaks, "transcendent...divine". 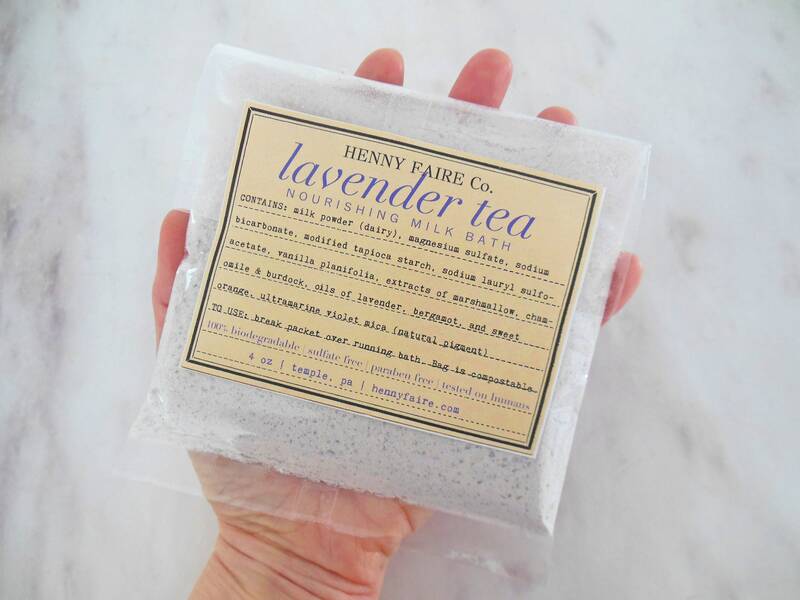 Lavender Tea Milk Bath is a delicious Earl Grey tea blend of bergamot, Bulgarian lavender, and vanilla. This single bath packet (4 oz) comes packaged in a clear compostable bag. 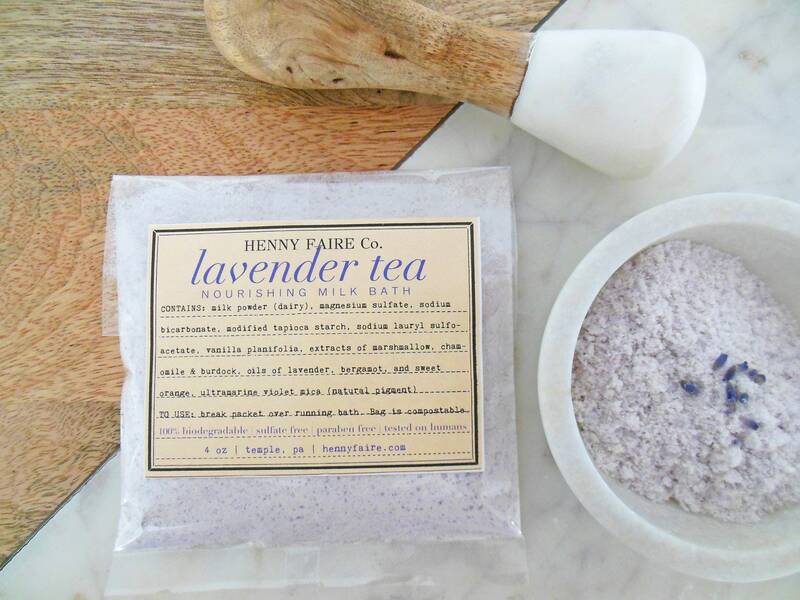 HENNY FAIRE Co. products are proudly free from parabens, petrochemicals, sulfates, synthetic dyes, and artificial preservatives.